On the river’s broad expanse! Sees the falcon’s shadow fly? Deafened by the cataract’s roar? 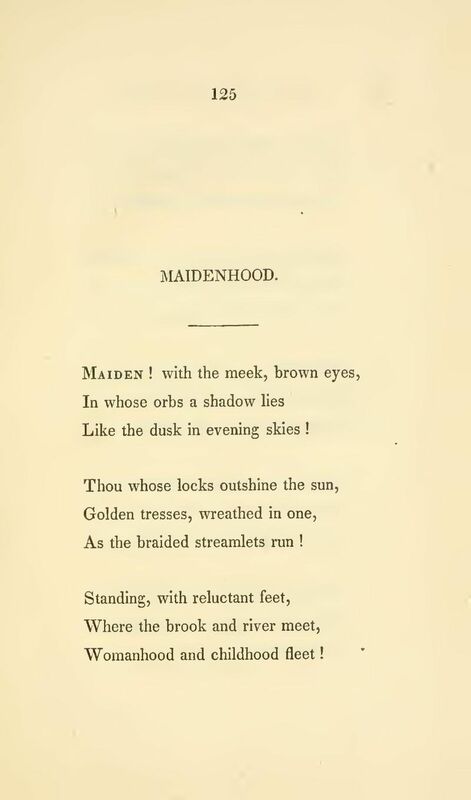 Teksten følger Henry Wadsworth Longfellow: Ballads and other Poems, 2nd edition, John Owen, Cambridge, 1842, pp. 125–128.